Shopify Sync | CommentSold Help Center! Setup Shopify Sync to sync all your Products, Variants, Images and Inventory in Shopify! We are very excited to bring you this feature and have thought long and hard about the best way to do it. 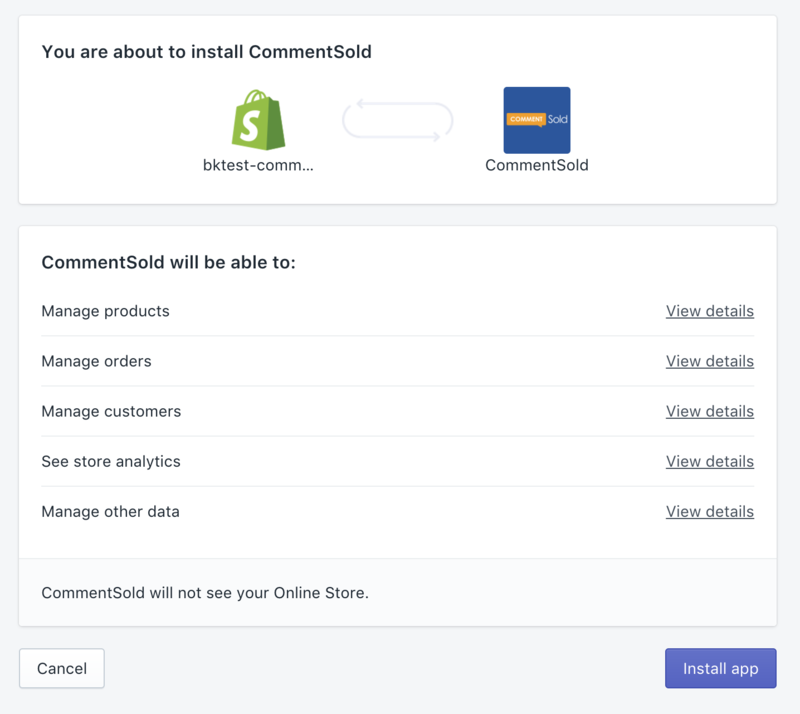 CommentSold wants to introduce Shopify Sync! From here, CommentSold will start importing ALLLLL of your products from Shopify. This can take a little while for it to happen depending on how many products you have. After all products are imported, we will now be in sync with Shopify for both inventory, images and products. If someone buys on CommentSold, it deducts inventory from Shopify. If an item expires from their cart, it adds it back to Shopify. If you add a new product, it will also add it to CommentSold. That's it! That is all that's required! You're good to go!